Steve McClaren is set to be dismissed as Derby County manager and is expected to be replaced by Real Madrid coach Paul Clement. 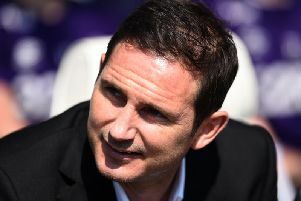 The Rams failed to secure promotion to the Premier League afer missing out on the Chammpionship play-offs following a massive slump in form at the end of the season. And McClaren is set to pay the price for that failure according to reports in the Daily Telegraph. Barcelona plan to make a £50m-plus bid for 24-year-old Arsenal midfielder Aaron Ramsey in the summer despite their transfer embargo. The Spanish giants will make the unlikely bid for the Gunner according the The Sun. Manchester United are ready to exploit Bastian Schweinsteiger’s contract stand-off with Bayern Munich by making a move for the 30-year-old Germany midfielder, according to reports in the Daily Telegraph. Inter Milan are believed to be closing in on a deal for Yaya Toure, although Manchester City have yet to receive an offer for the 32-year-old midfielder, suggests The Times.